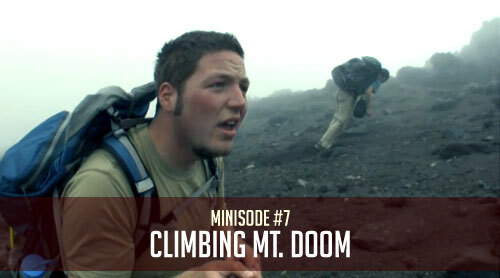 We hike the Tongariro Crossing in New Zealand and try to hike to the top of the volcano that played Mt. Doom in Lord of the Rings. But on the way up, the clouds moved in, we got lost, and we were in serious danger. I love how that music seemed to fit so perfectly, it's like that music was composed for that volcano, strange! Your podcasts are having a problem on iTunes. Love it! You guys are like 2 real live survivormen. Love the LOTR scene reenactment, good stuff. @Roger: Thanks so much for letting me know about that! I've fixed it. I love everyone of your videos guys! Keep the goods coming, you all crack me up! Hey Guys, we're nominated in the same category with you for best video blog. You guys have some pretty cool adventures and it looks like you have a blast. Your site is great, we like the stats at the bottom. Good Luck in the competition.